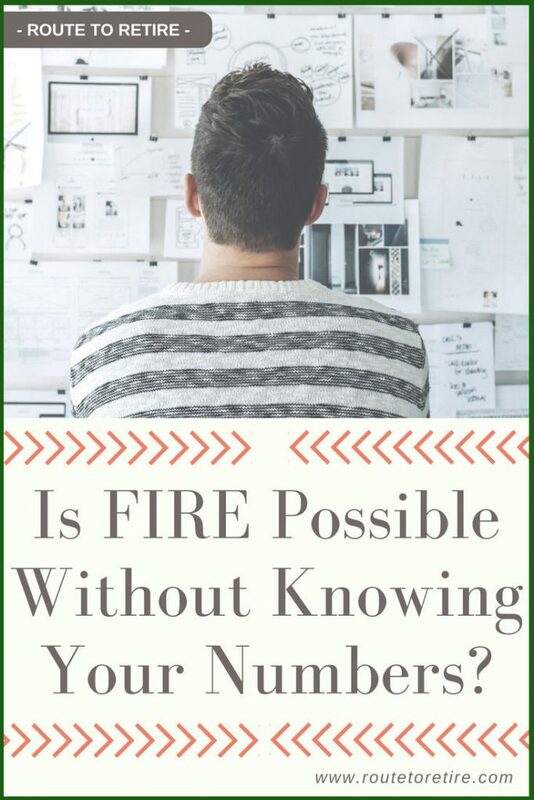 Is FIRE Possible Without Knowing Your Numbers? Growing up I was always good at math. I pretty much ran circles around the other kids in the class in elementary school and had no problems throughout high school as well. Knowing your numbers back in those days was a whole different ball game. Then college happened. Some of the classes were easy peasy, but then there were subjects like business statistics and macro/micro economics. I think my grades in those tougher classes accurately reflected my understanding at the time – not so good. Fast forward to today and I’ll tell you something that not a lot of folks know about me. I don’t know the intricacies of my numbers like a lot of others do. Sure, I keep an eye on our balances and watch our net worth grow. I’m also on top of what our expenses tend to run every year. I have Quicken and Personal Capital to thank for this. However, if you ask me what the cap rate on my duplex is or what my internal rate of return (IRR) on any of my businesses are, I couldn’t tell you. In fact, I really couldn’t even give you the specifics of what an IRR is without Googling it. It’s even so bad that I can’t tell you what percentage return we’re getting on our duplex, our investments in the stock market, or my other businesses (like this blog). Horrible, right? These are the types of numbers that are so commonplace to most folks in the personal finance community that I should be ashamed. I’m guessing a lot of you are already cringing reading this post. I’m slightly embarrassed when I hear people start rattling off all these numbers that don’t mean a thing to me. Is it even possible to do well with your finances without knowing all these formulas? Well, I think we’re in good enough shape to say yes it is possible to do just fine without being an expert on your numbers. Yeah, maybe, but tough – I said it and I’m sticking to it. This isn’t something I take lightly. I probably should know these kinds of things, but I’ve just never felt the need to. We’ve continued to head in the right direction and our net worth continues to grow at a pace I’m very happy with. Is knowing your numbers beneficial? Knowing your numbers can help make it rain a little more… though I guess you also have to be naked as well. 1) You can see what’s not working and determine if you should be making changes to fix those problems. If you have a rental property that’s not making you any money (or is losing you money! ), this can be something that knowing your numbers can point out to you. Then you can take action and consider selling it so you can invest it elsewhere – like a property that can actually give you some good cash flow. The same goes for a business that you’re running. If you’ve branched out into different products or services, knowing what’s not working can be great to help you realize the problem. It can help you consider the idea of nixing some of the duds. 2) You can figure out what’s actually working. And those are the areas you might want to be focusing more on. If we look at the business example, maybe one avenue is generating a lot more money than the rest. Perhaps it makes sense to continue to improve on it or market that area a little more to increase profit further. I don’t think I’m telling you something you don’t already know on this. Obviously, you can’t fix problems if you don’t know they exist. Cash-on-cash return is a rate of return often used in real estate transactions that calculates the cash income earned on the cash invested in a property. It is considered relatively easy to understand and one of the most important real estate ROI calculations. “[…] one of the most important real estate ROI calculations.” Haha, ouch! Thanks, Investopedia – that’s really rubbing it in. Yeah, I couldn’t tell you what are cash-on-cash return was for the single-family rental we owned for 15 years or for the duplex we bought in 2015. I would think it’s safe to say that most successful business owners have a finger on where they’re at in their business. They can probably tell you their year over year numbers without even needing to bust open their pretty reports. That’s awesome and for as organized and OCD I am, you’d think I would be that guy… but I’m not. Far from it. I really don’t want to be that entrenched in my investments. I just want to focus on building them up and letting them grow organically. Scary, right? What do I actually know? Ok, Jim – so we’ve determined you don’t know jack. Is there anything you do know? Ha! That hurts, but hey, we’re all friends here so I’ll let it slide. Believe it or not, I’ve always kept a pretty close eye on some of our numbers. I watch all of our account balances daily and see everything coming in and going out. I immediately know if there’s a charge on one of our business credit cards that isn’t right. I also meticulously review and question anything abnormal in the statements from my property manager. If I see something strange, I’m on the horn immediately with the property management company to determine what transpired. And I find things I can optimize across all our finances and make the changes accordingly. 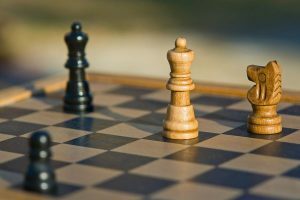 When I learned about active versus passive investing, I evaluated the fees in my 401(k) using Personal Capital. I saved over $50,000 in fees over a ten-year period from this free tool. Know what kind of return that’ll give me in the long run? Yeah, me neither. Nevertheless, I do know that’s a tremendous savings I was able to make. In the meantime, we just keep pushing forward. We keep saving, investing, and continuing onward with our businesses. As lean as it sounds, that’s about as far as I take things. And it’s obviously done Ok for us since we’ve been able to reach financial independence in our early 40’s. When it comes to knowing your numbers, what is important? You don’t need to know everything, but you do need to make smart decisions if you want to win the game! So by now, you’re probably questioning why you’re a reader of this blog… understandable. But, here’s what I think. Knowing your numbers is the diligent thing to do. In fact, if I was on top of my cash-on-cash return I could probably find ways to come out even further ahead. However, when we purchased our duplex, I focused on what I think were the important numbers for us for the long-term. First, I got a great deal on property. It was basically rent-ready with only a few minor repairs that we needed to do. I also knew that the deal would bring us in over $500/month profit… that’s net. Could we have made more money in the stock market? Possibly – but, I didn’t concentrate on that. I wanted to give us a hedge against the stock market and this made a lot of sense to do. In addition to that monthly income, I was excited about some of the other advantages that owning another piece of real estate provides (like the tax benefits). In other words, it’s still important not to go in blind – that’s a losing game. Nonetheless, I really don’t feel that we’re struggling as a result of me not be able to reel off numbers like our cash-on-cash return or out IRR (what the heck is that again?!). The most important thing is that we’re making smart decisions to ensure our portfolio continues to grow. The same goes for our investment portfolio. I know our investments in the market have continued to grow and I know what they’re worth. However, I couldn’t tell you what the return has been on our portfolio. It’s never interested me. I do optimize as I learn, but that’s really as far as I take it. The point is, you still need to be smart in what you do, but you don’t necessarily need to know everything. The more you know the stronger you can probably grow your portfolio. However, don’t be embarrassed if you don’t know everything – you can still pave a path to success. 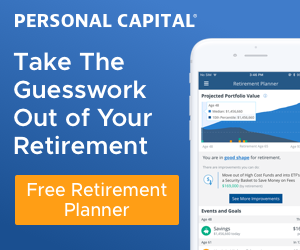 If you’re like I am in this aspect, realize that not knowing these details perfectly doesn’t mean you can’t reach financial independence or retire early… you can. But you still want to have an understanding of some of the basics. For instance, if you don’t understand the fees you’re paying in your portfolio, your money could be swallowed up. Or if you’re losing money on your rental property every month, that’s probably a sign you’re headed in the wrong direction. Please understand that I’m not preaching that knowing your numbers and other formulas is a bad thing – far from it. In fact, that’s probably the smartest way to go about growing your money. 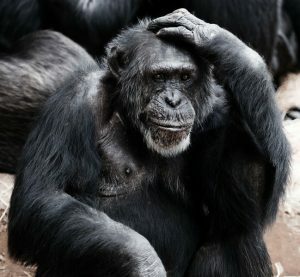 However, I can’t imagine that I’m the only one out there who doesn’t run business calculations on all their investments. And I think it’s important to bring up because I want others in the same boat to see that we’ve reached financial independence without knowing every formula out there. Alright, time for you to start shaming me. Are you on top of knowing your numbers and business calculations? We focus on the basics. Overall Net Worth is the main formula we look at consistently. Pretty easy – Assets minus liabilities. We also keep vigilance on our saving rate to maximize that. In addition, watching closely on our expenses. There are plenty of financial calculations you can perform to measure just about anything but at the end of the day we focus on the three above. It is interesting to run the numbers when I see a different way to measure our performance but we don’t get hung up on the details. For years, all we did was keep track of our net worth. If it was going up, I thought we were doing okay. Used that to project were we would be in 5, 10 years down the road. Now, I have started keeping track of expenses, finding ways to cut that and save and invest more so that our net worth will increase quicker and we can retire earlier. Tracking expenses (and then acting on it) is probably the #1 best way to expedite the path to early retirement… good luck on the journey! I’m at about the same level as you. I know we’re heading in the right direction and I kind of know which investment category is performing better. But I don’t know the exact IRR, cap rate, and other numbers. I know the cap rate is not good because the properties are expensive on the west coast. We’ll make money when we sell. As long as we’re moving in the positive direction, I think it’ll be okay. Eventually, I’ll consolidate our investments more, but that’s mostly for convenience, not performance. Also, recent past performance may not indicate future performance. The stock market did very well over the last 10 years, but that performance can’t last. I prefer to hedge a bit in bond, rentals, and other alternatives. That makes me feel better, Joe! I thought everyone knew all their numbers on their real estate – I actually felt really out of place with this. I’m with you on staying the course, but knowing that the stock market is probably going to be showering us with some fun at some point here probably sooner than later. What are the alternatives you have in your portfolio to hedge with? Ugh! Numerals! One of my least favourite things. But I know my net worth, my expenses and I track every dollar I spend. I use Sharesight to track my share portfolio, so I guess you could say that I’m reasonably ok with it all. I’m not familiar with Sharesight – I’m going to have to check that one out. You Don’t Know Jack!? Tsk tsk! I had to laugh at this one. Would you believe the only numbers I’ve known for the past 30 years are our annual net worth (I only update it on 12/31 each year!) and the savings rate I plowed into our 401(k)? (Ok, in fairness, I started looking a lot more closely at our asset allocation, using Personal Capital, in the 5 years before retirement). Automate it and forget it. Save as much as you can save, know that you’re growing your portfolio, and don’t worry about the details. Great post. Now that’s comforting to hear from you, Fritz – you’re like a savant when it comes to this stuff! I get it. I am the same as you in some regards. I don’t keep track of my returns (on a % basis) as I’m more concerned about the dollars, not the %’s. I keep track of my monthly cash flow from real estate crowdfunding but like you, I don’t keep up with the IRR (because cash flow is tangible and it happens NOW, whereas IRR is a “predicted” return based on a proforma). I don’t maintain a monthly budget. I see what comes in, what gets moved to savings and I pay my credit card (90% of my spending and expenses are charged to this card for the benefit of “travel hacking”). I like the way you’re looking at this Mrfireby2023! Focus on the tangible and just work on growing that. Gotta love the power of travel hacking! I’ll be doing a post on that a little later this year – I only jumped into that game earlier this year and I’m kicking myself for missing the boat for so long! I like it – keep it simple and do what works! Travel hacking is THE way to go! My wife and I went to Italy in April this year and our business class airfare and hotels were FREE! We only paid for meals, tours, rail passes and a few items of Italian clothing. We spent 8 days in Italy and spent less than $1400 total! I’ve already booked our Scandinavian cruise for next year! Travel hacking is an addiction! That’s crazy… and awesome! Sounds like an great way to use the rewards, too! We’re working on gathering the miles/points so we’ll be able to fly back and forth from Panama a number of times for free, which is really exciting for us. Once you start living off your investments, I think you’ll start to pay a lot more attention to the numbers. You’ll have more time and it’s just natural to keep your eye on the (financial) ball. I love numbers but I try to stick to basics. Of course, knowing exacts can help to maximize everything, but as long as I am working in a positive direction that is all I care about. When growth starts to stagnate, I might stop and do some more calculations, but otherwise I try to just look at trends and overall movement/growth. I like that strategy – keep it simple but dig in further if the growth starts slowing down… smart move! Refreshing and quite hilarious! I’d say you’ve done fine. 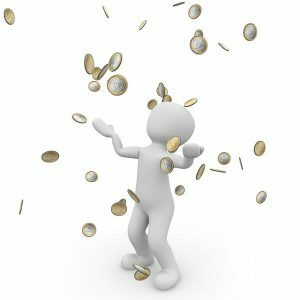 As a newbie on this path, I really only pay attention to the following: my savings rate, my expenses, the expense ratios on my investments, and my net worth. However, I don’t really have any business numbers to track…yet. I also agree it is important to understand if investments are working and doing the numbers on the investments. Wow, realizing out of nowhere that you’re able to cut the job-cord had to have been an amazing feeling! It is possible to do without knowing every number. You just need to know a few important numbers. I never had a budget, cash flow plan, retirement date, fixed savings rate or anything. Yet I arrived at FI. I knew my net worth and tracked its progress. I knew how much I needed to live on each month and invested the rest. That’s what I keep thinking every time I read another article from you, LOL. GReat thoughts! I love he way this blog doesn’t fit the standard work hard save and be frugal blog like most financial bloggers! !